This thing lasted for weeks on four AA batteries (20H). 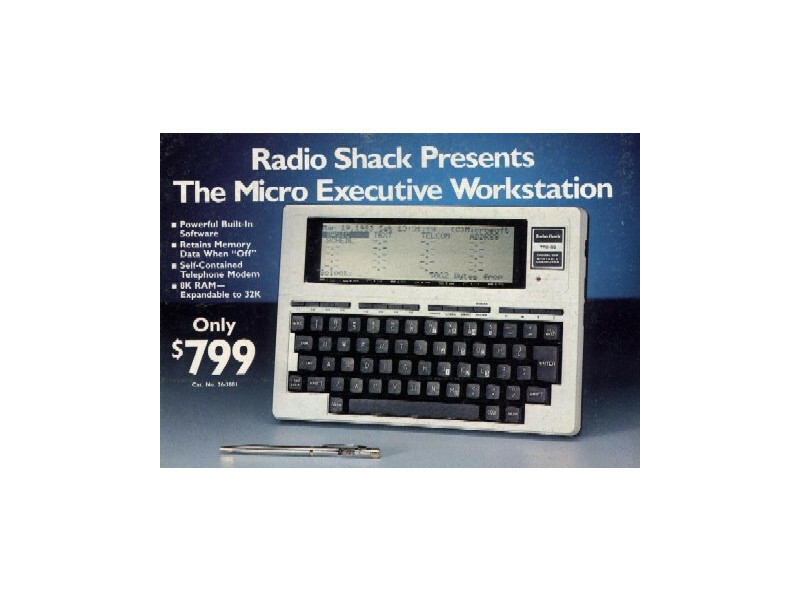 It had a really usable keyboard, and Radio Shack sold lots of them – 6,000,000 by the time they went out of production in ~1986. 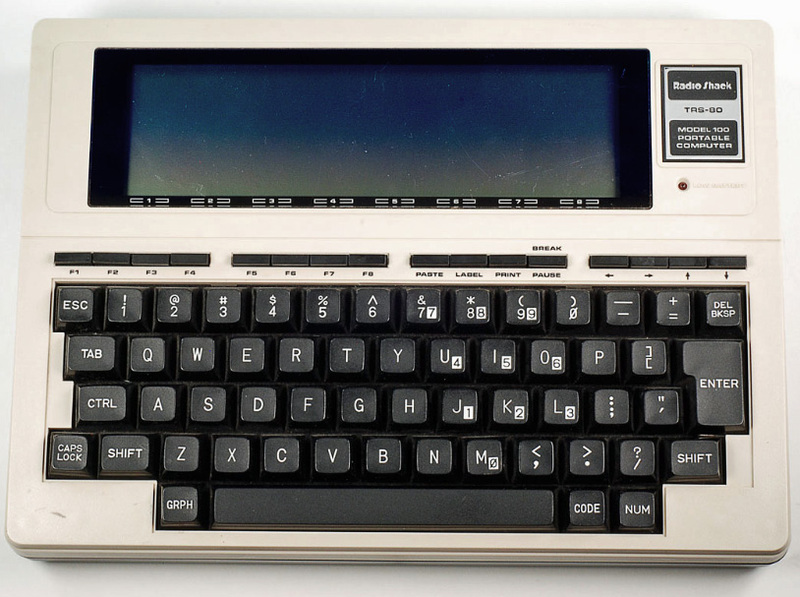 Originally manufactured by Kyocera, it didn’t sell well with that badge on it. 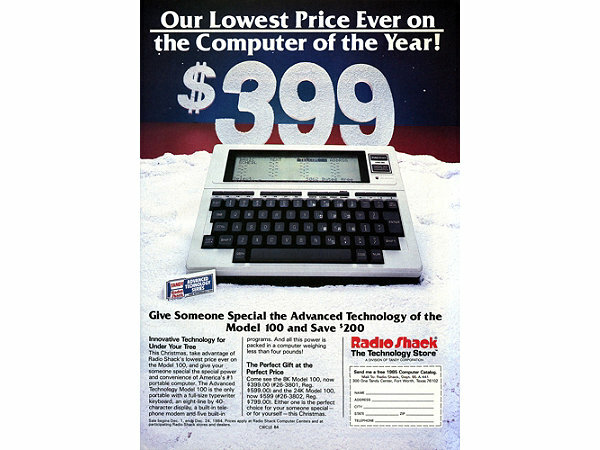 Radio-Shack’s distribution and the TRS-80 Model 100 name made a huge difference then. Those were the days. 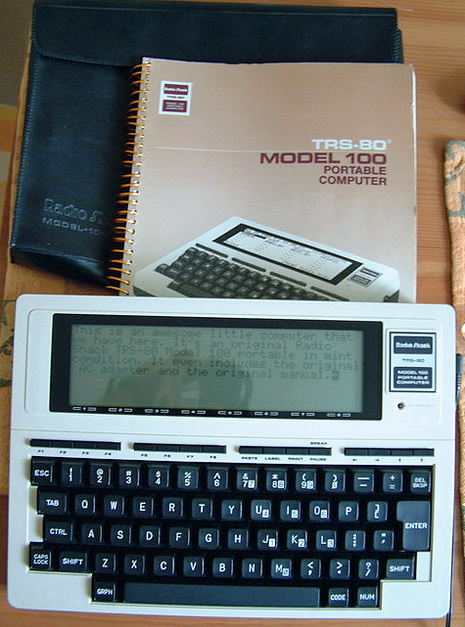 Ira GoldKlang runs a site dedicated to all things TRS-80, including some information on the model 100.